Can you believe August is nearly halfway over? Well friends, I’m trying to heed Grandma’s advice and really take some time on this trip to enjoy my family and the beautiful life we have. So, hopefully you too can sneak away, even for a few minutes, and sip on a Blueberry Lemonade Chiller and enjoy a Loaded Lean Nacho or two with me! 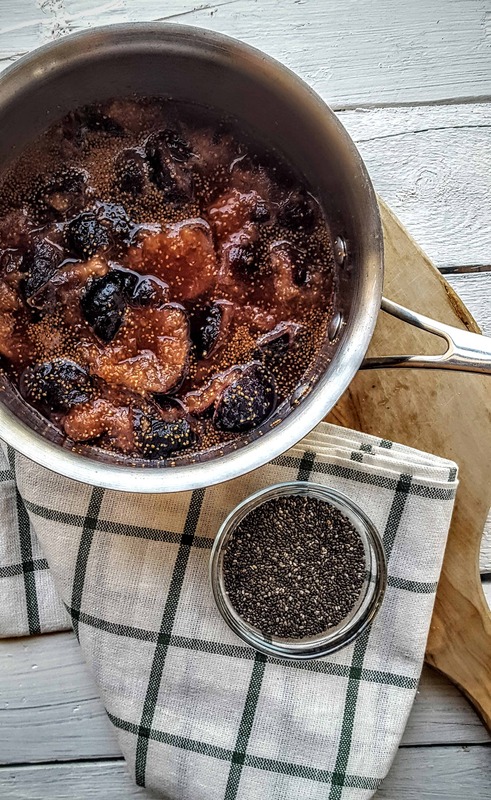 Homemade Fig Jam with Chia Seeds — Can I get a yum!!!!! This recipe is simple, delicious and pure, just what you what in a homemade goody! 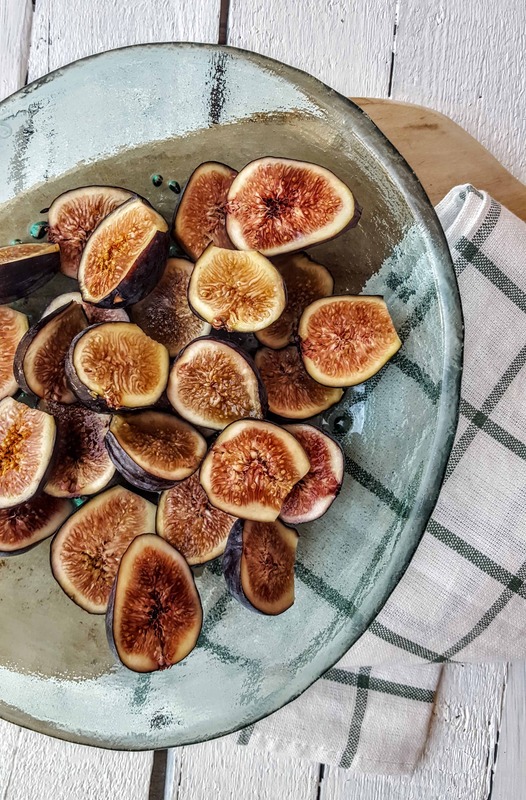 Figs are packed with fiber, potassium, vitamin B6, manganese, pantothenic acid and copper. Plus, they’re naturally sweet, making for a great alternative to sweeten your recipes without using added sugars. 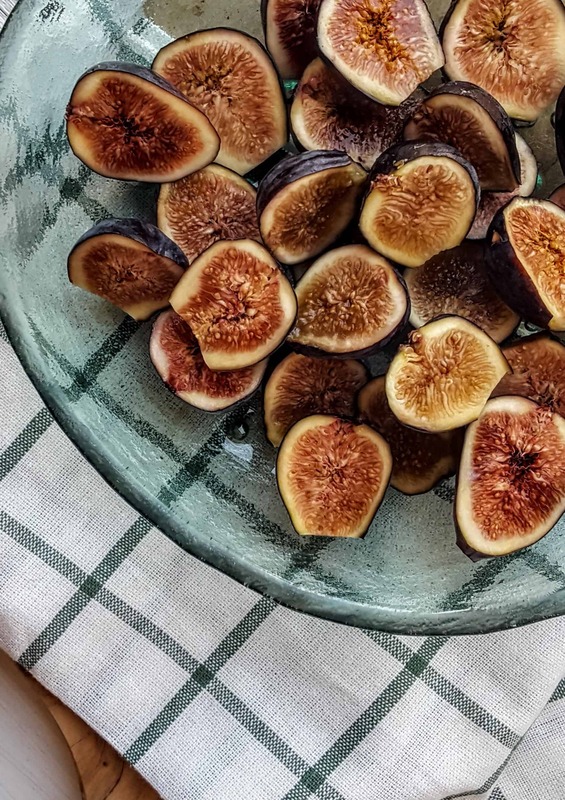 The only caveat with fresh figs is that they ripen quickly, so it’s best to buy them and use them in a day or two. But then again, if you have a plethora of figs, you can always whip up this delicious jam and freeze the extras to enjoy in fall! 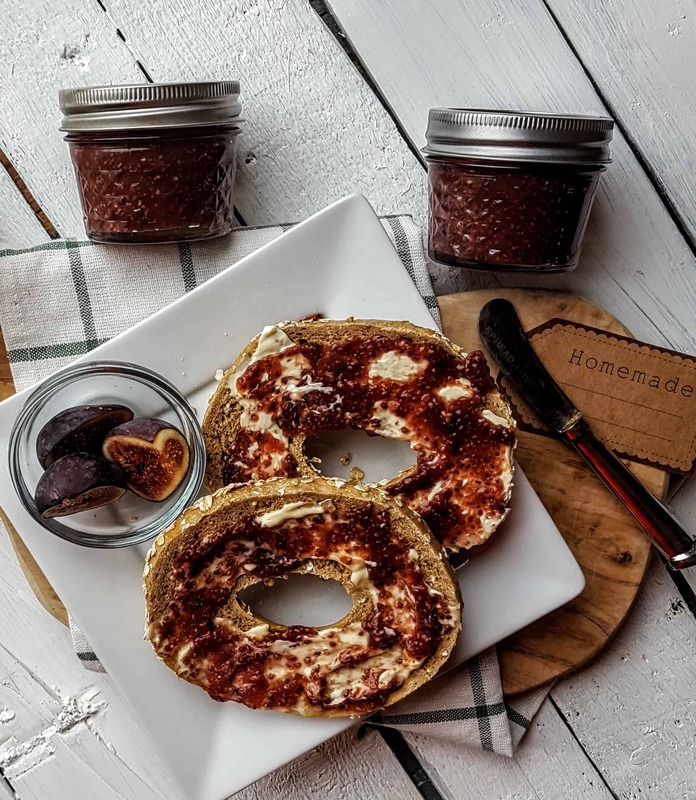 Spread the Homemade Fig Jam over a fresh bagel with a little smear of butter (vegan or regular, take your pick!) and you’ve got yourself a true breakfast of champions! Not a fan of figs? Don’t worry, I’ve got that Cranberry Chia Jam too for you to check out! Savor the flavor of fresh figs by making a Homemade Fig Jam. Bonus, it's perfect to pair on those sammies for back to school lunches! In a medium saucepan, bring 1 cup apple juice to a boil and add in fresh figs. Boil for 15 minutes, covered. Using your immersion blender, puree figs, using caution not to splatter the hot liquid onto your skin. Pour pureed figs into a medium bowl or large mason jar with a lid. Add in the 1/2 cup apple juice and chia seeds. Stir together with a spatula or shake mason jar vigorously with a lid. Refrigerate for a minimum of 4 hours. Store jam in the refrigerator and use within 10 days for best quality. Freeze extra jam for up to one month. Use defrosted jam within 7 days for best quality. What’s your favorite back to school sandwich? Think you’d be a fan of this Homemade Fig Jam? This is such a good idea and a really good way to make figs last longer than just summer. Thanks!! I love the fresh figs, toO! So beautiful! I wish I had some!!!! Just saw this recipe on Pinterest and it looks perfect! I need to stock up on chia seeds and get some figs asap! Awe thanks Linds!!! I seriously love a good chia jam! Honestly I have never had a real fresh fig before, only dried! Now I need to go get some to make this, it looks amazing! 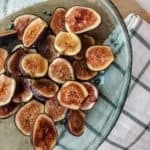 I have never had fresh figs before so this is a perfect recipe for me! I will be able to add this to my toast in the morning to change up my breakfast this week! WOOHOO! LMK if you make them! I just had a fig jam for the first time in forever at a party last week so now I have been craving it like crazy. This is exactly what I needed!